The camouflage colors in this 100% cotton-washed twill cap go with everything, especially when you top it with the Louisville Vintage Seal logo. The 6-panel cap features a twill sweatband, sewn eyelets, and self-fabric Velcro closure. 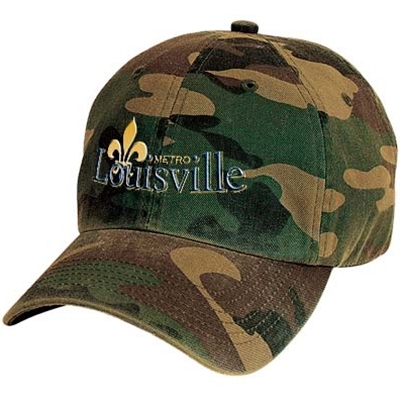 Available in Green/Brown Camouflage with the Louisville Metro logo.